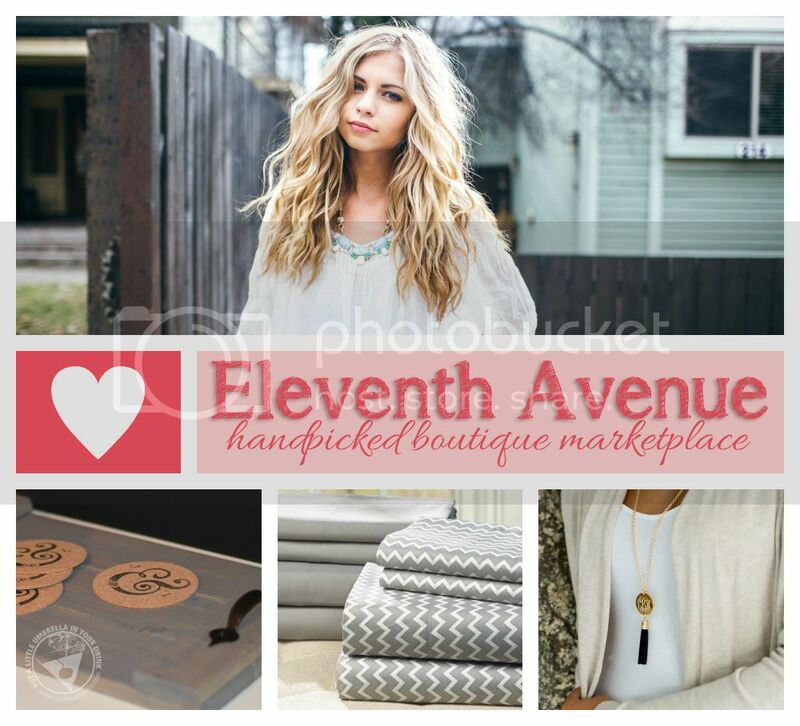 Eleventh Avenue is a handpicked boutique marketplace where you can find the cuteness items at discounted prices. It founded on the dream of creating a large scale platform for unique boutiques and small shops to come together and offer their goods at remarkable discounts. 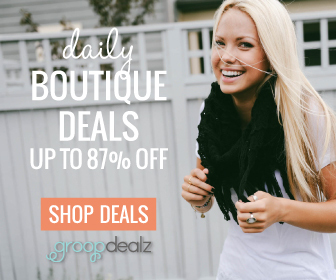 You will find handpicked daily deals in clothing, home decor, kids, jewelry, beauty, accessories, and more. Everything is so cute and only available for a short amount of time. So when you see something you love, act quick! 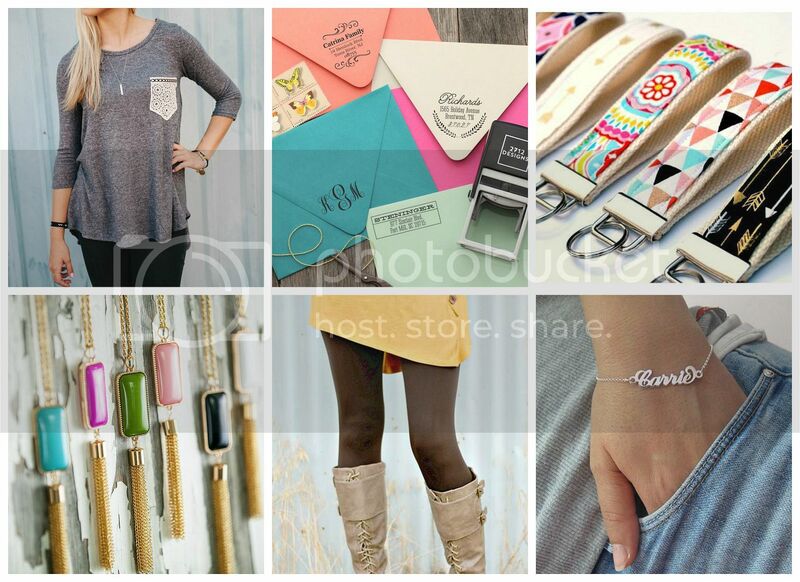 I recently had the chance to choose a few things from Eleventh Avenue to review. First of all, it was not easy to choose. There were so many adorable things to choose from. I finally decided on some home decor items. Here is what I chose. 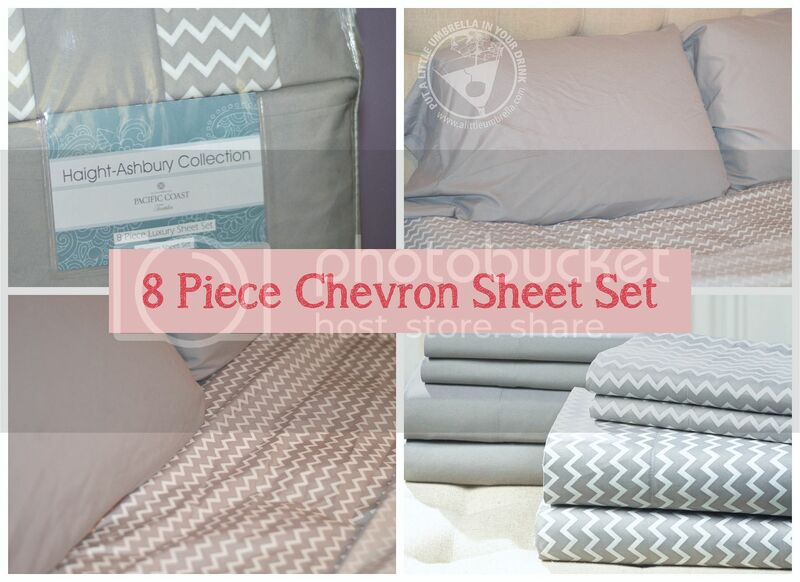 I could not believe the price of this 8 Piece Chevron Sheet Set by Pacific Coast Textiles. I found it for just $28.99 for the whole set! Wow. I had to give it a try. The sheets came in an elegant chevron design, as well as a matching solid sheet set. Made with extremely fine threads, these sheets offer incredible softness and comfort. Crafted with a soft microfiber polyester blend, this set features two flat sheets, two fitted sheets and four pillowcases to brighten up your bedroom. Brushed yarns give a soft hand, and it feels like a high thread count. The sheets ended up being very thin, but also very soft. I thought they would be a great option for summer when I like something that is not very heavy. I was very impressed by the softness. In fact, they are so soft that I will use the pillowcases even when I don't have the sheets on my bed. I love a nice tray. They have so many uses. 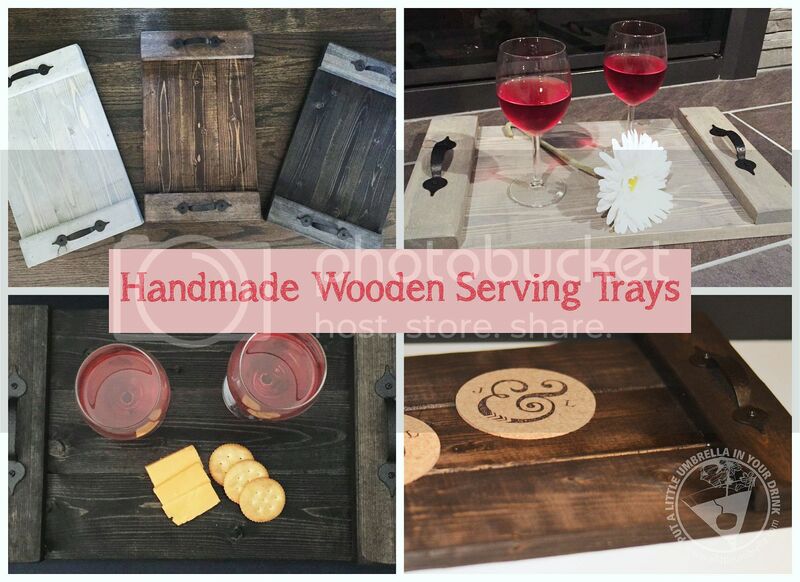 I found these Handmade Wooden Serving Trays by Daddy Daughter Decals for only $15.99. These handmade serving trays are a perfect accent for an ottoman or coffee table. 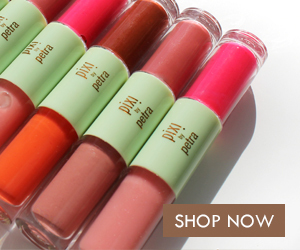 They come in a stylish finish in your choice of 3 different stains. Each tray measures 17.5" x 10.5". I knew they were definitely handmade when they arrived. They still smelled like wood stain! I ordered two different finishes and I really like them both. They are very sturdy and could easily hold several glasses at a time. I like they finishing touches on them too. The hammered metal handles add a rustic country touch. I have always loved the idea of the slow melting ice balls. 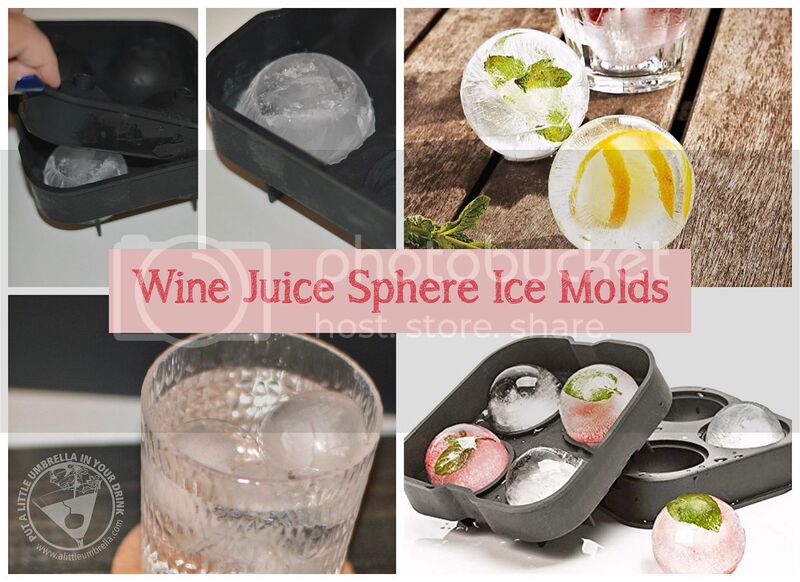 So my next purchase was the Wine Juice Sphere Ice Molds for $8.99. This silicone ice ball mold maker creates four slow melting Whiskey ice balls keeping your Scotch liquor cold without the water dilution of other ice solutions. The photos show freezing fruit in the center. I love this idea! Although I have not tried that yet, I was able to create ice balls to surprise my guests for a cocktail party. Finally, what did I serve those drinks on? 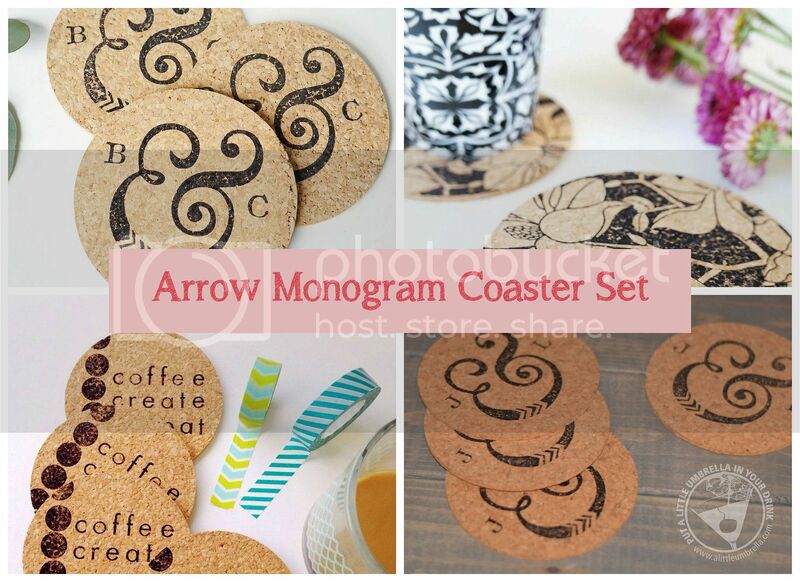 My new Arrow Monogram Cork Coaster Set by The Tulle Box! These coasters were just $6.50 for a set of four. They would be perfect for bridal, wedding, anniversary, or just because gifts. The coasters are stamped with archival ink that is both permanent and waterproof. They will not run or fade and the ink is crisp and bold. Each coaster measures 4" x 4" and is made of high quality cork. They are thin, but I don't mind that. They still do the job and look super cute. The set of 4 coasters is packaged in washi taped cello sleeves, so it is absolutely ready for gift giving! 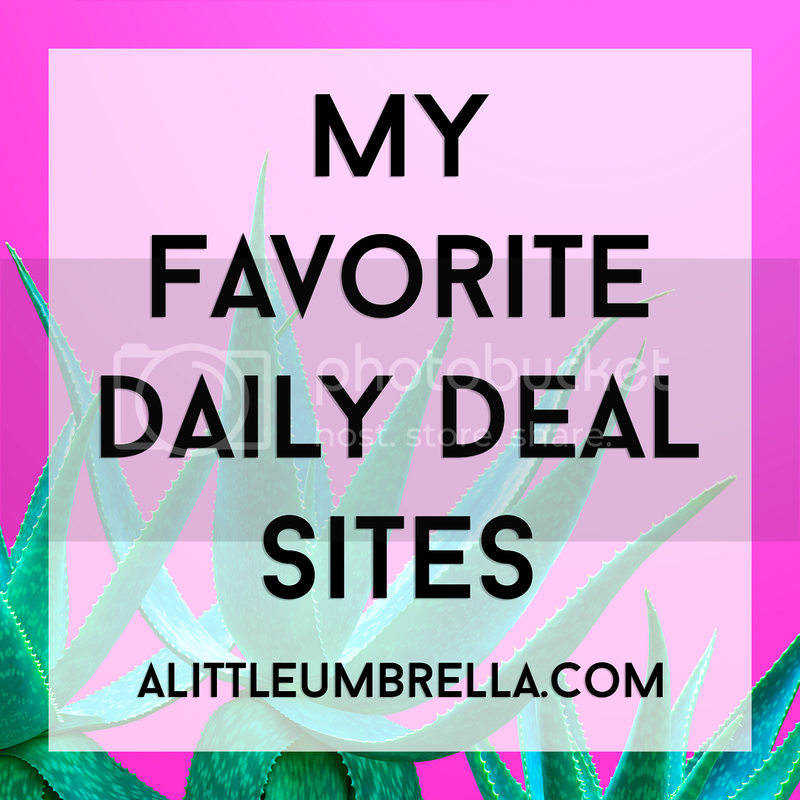 Even though the deals that I reviewed have expired, you will want to check out the current daily deals. You never know what you will find! At the time of this post, there were events for leggings, photo-lovers, monogram necklaces, and outwear. I wonder what you'll find today! 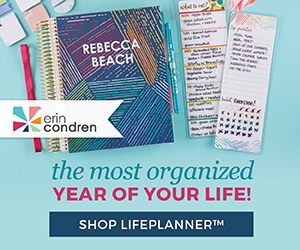 Connect :: Visit eleventhavenue.com for a unique, personalized, and social shopping experience. 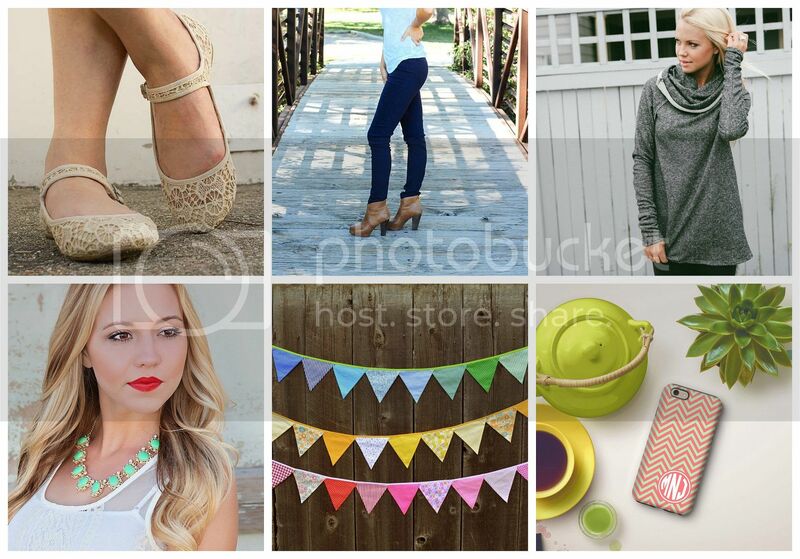 You can also find Eleventh Avenue on Facebook, Twitter, Pinterest, and Instagram.